You'll be £20.00 closer to your next £10.00 credit when you purchase Parliament's Generals. What's this? Waller, Essex, Fairfax, Manchester and Cromwell are among the most famous military men who fought for Parliament during the English Civil War. 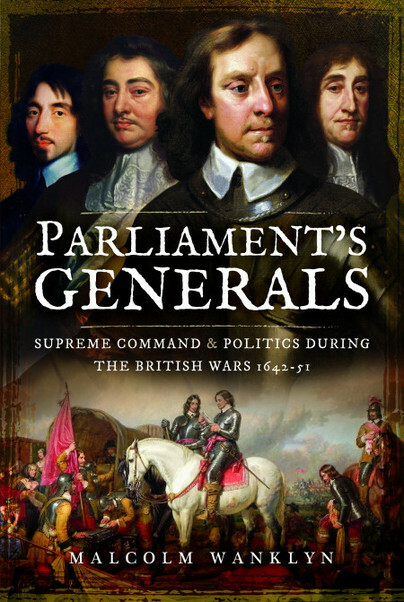 While their performance as generals has been explored in numerous books on the campaigns, comparatively little has been written by military historians about the political aspects of high command, namely the ever-changing and often fractious relationship with the English Parliament and its executive committees. That is why Malcolm Wanklyn’s study of these men is of such value, for he sheds new light on the qualities they employed in their attempts to achieve their military and political aspirations. In a series of insightful chapters he follows their careers through the course of the conflict, focusing on their successes and failures in battle and the consequences for their reputations and influence. Dissatisfaction with the leadership of Essex, Manchester and Waller in the inconclusive early campaigns is examined, as are the contrasting strengths of Fairfax and Cromwell. This reassessment sheds new light on how these commanders managed promotions, out-manoeuvred their fellow generals and controlled their subordinates.